You finally completed the Bail Bond process with a Bonding Company and they gave you the bonds to post at the Clark County Detention Center. 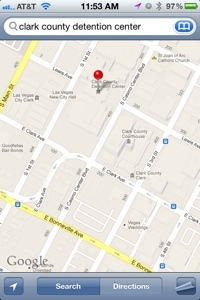 The CCDC is located on 330 South Casino Center Boulevard right behind the Golden Nugget Casino. When you drive up to the Clark County Jail you will have to park either by the parking meters or the garage across the street which costs even more money. 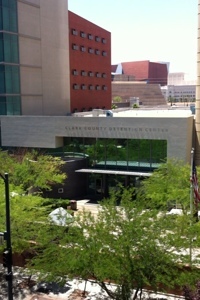 You walk into the main entrance of the CCDC, show your ID and walk through the metal detector. Once inside, walk to the right, down a long hallway until you get to the Pretrail Services door. Walk inside, take a seat and wait until your called to the window. The clerk will check the bonds for accuracy and charge you a $40 per bond posting fee. If you are lucky and the Bail Bonding Company did not make any errors the CCDC will accept your bonds. If there were errors you would have to go back to the Company and do the whole process over again. 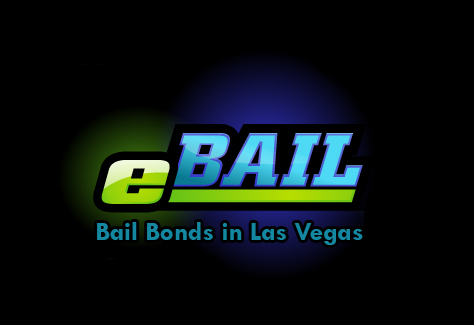 We at eBAIL will handle this transaction for you, just call 702-462-9200 or visit our website for Online Bail Bonds and posting at the CCDC. 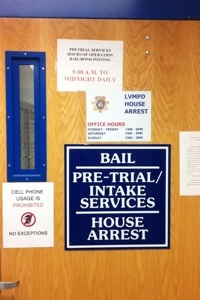 Previous post: What is a Bail Agent?